How do you get in the Trading Zone? Hint – Focus! Michael Marcus – Jack Schwager, Market Wizards, 1993. This article is part 1 of an ongoing series on Heart Rate Variability (otherwise known as HRV). In this article I will share with you a quick primer on HRV and then delve into how I personally track my HRV and how tracking my HRV has improved my trading. What is HRV (Heart Rate Variability)? The last two decades have witnessed the recognition of a significant relationship between the autonomic nervous system and cardiovascular mortality, including sudden cardiac death. Experimental evidence for an association between propensity for lethal arrhythmias and signs of either increased sympathetic or reduced vagal activity has spurred efforts for the development of quantitative markers of autonomic activity. To boil it down, HRV represents one of the most promising such markers for assessing the effects of stress on your body. It is measured as the time gap between your heart beats that varies as you breathe in and out. Research evidence increasingly links high HRV to good health and a high level of fitness, whilst decreased HRV is linked to stress, fatigue and even burnout. That’s All Great But How does this Relate to Trading? According to Cass Business School, building and working on the role of emotions is crucial in financial decision-making. I think most traders would not debate this statement but interestingly the Cass Business School examined the relationship between market conditions, trader experience and emotion regulation during trading as indexed by high frequency heart rate variability (HF HRV), and found a significant inverse relationship between HF HRV and market volatility and a positive relationship between HF HRV and trader experience. This is also known as biofeedback. The research suggests that emotion regulation may be an important facet of trader expertise and that learning effects demonstrated in financial markets may include improved emotion regulation as an important component of that learning. The results also suggest the value of investigating the role of effective emotion regulation in a broader range of financial decision-making contexts. One of the studies by Lo, Repin and Steenbarger (2005) found some clear associations between day-traders’ emotions (as measured by an emotional-state survey), their decision making, and performance (N=80). Investors who experienced more intense emotional reactions to gain and loss were poorer performers than those with more attenuated emotional responses. Schunk and Betsch (2006) found lower levels of emotional experience to be associated with higher levels of financial decision-making performance through greater risk neutrality. Both trader experience and market volatility have significant coefficients. Lastly, Xdelia.com‘s research found that greater experience is associated with higher HF HRV and greater market volatility is associated with lower HF HRV. Their study shows that traders have greater difficulty regulating their emotions in volatile markets and that more effective emotion regulation is associated with greater experience. It is important to observe that experience here is not equivalent to performance and no inferences may be drawn from this study directly concerning the importance of emotion regulation for successful financial decision making. Are you a small pond or a big ocean? There is one common misperception around HRV that I often see online that I want to first clear up before we continue. This statement is FALSE. It is not. Think of HRV as a measurement of your entire nervous system vs. simply the pace at which your heart is beating. To repeat what was stated earlier, a consistently high HRV score is what we all want to attain and should be shooting for. Wearing a heart-rate monitor and observing your heart rate speed up or slow down before you take a trade, while you manage a trade, or exit a trade is not the same thing as tracking your HRV. Certainly being mindful of your stress levels as measured by your heart-rate can be an interesting quantitative measure but in my opinion the goal of trading isn’t to find ways to reduce or eliminate stress. Show me a trader who has removed stress and uncertainty from his trade plan and I will show you an unsuccessful trader. Stress, that is the emotion of stress can be perceived as either positive and/or negative but most importantly it is information. And rather than finding ways to hide or block stress we need to find ways to manage and incorporate that emotion into our trading. Now back to HRV, think of HRV as a measurement of your resilience. 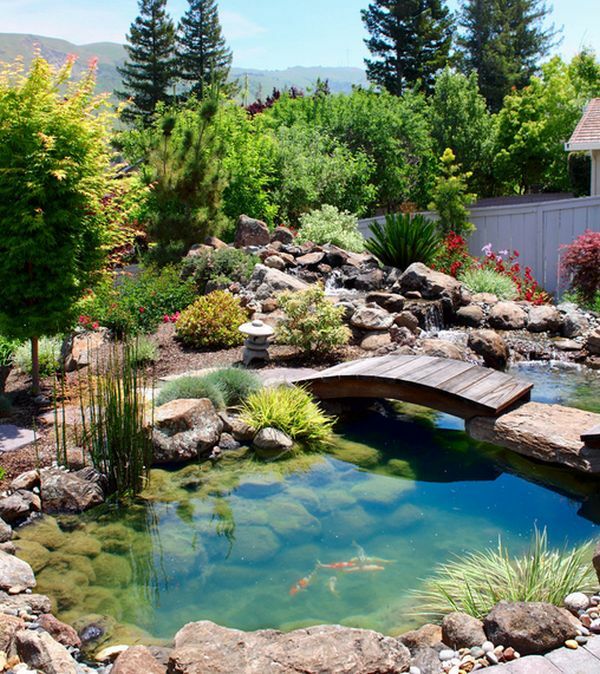 If I had a large rock and threw that large rock into a small koi pond we would expect to see a huge splash followed by large ripples racing across the pond which would eventually settle. Eventually the pond would become calm again. If I took that same rock and threw it into the Atlantic Ocean, what would we see? A large splash, smaller ripples, and the ocean would return quickly to being calm. Are you an ocean or a small pond? This is what it means to have a high HRV. I use HRV training and tracking to build my emotional resilience. That is, how quickly can I get back to zero after a stressful occurrence? Again the goal is HRV training is not to avoid stress but rather it is a practice in which we strengthen our emotional fortitude and strengthen the manner in which we respond to stressful events. How Do I Use HRV? Every morning as part of my pre-trading routine I will measure my HRV using the SweatBeatLife app on the iPhone. I use this measurement as an indicator of overall nervous system health. If my HRV is high then I have the greenlight to be aggressive with my trading. If my HRV is low then I use this as a cautionary flag to tread carefully and not overextend myself. Before I started tracking my HRV I would use several subjective questions during my pre-trading morning routine to try to assess my qualitative emotional and psychological well being. With HRV I now have a more quantitative and objective approach at measuring these emotional states. Once I’ve completed my HRV training I feel relaxed, focused, and primed and ready for the trading day. On occasion I will measure my HRV while I am trading. The results are often interesting and may be worth another article to discuss some of the finer points of the HRV measurements. Here’s a screenshot of what a HRV monitoring session looks like from the Sweetbeat website. Ask yourself are you a pond or an ocean? Can you improve your emotional resilience? That is how quickly can you ground and disconnect yourself from the last trade and get back to ZERO? If any of those questions resonated with you then I highly recommend HRV as a form of bio-feedback you should be using and improving. Are you currently training or tracking your HRV? Or are you interested in hearing more about this topic?